South Dakota Auctioneer's Association Bid Calling Contest gets bigger every year. RAPID CITY, SD – It was a big and varied slate of competitors who came in from eight states to compete in the 6th Annual South Dakota Auctioneer’s Association Bid Calling Contest held at the Black Hills Stock Show. According to SDAA secretary Dawn Luckett, the energy was high in the room where 25 auctioneer’s (one as young as 15) competed for top billing. Luckett shared just how close the scoring was, relating there was only a four point split between fifth place and the championship. The event also serves as a fundraiser for the Central State Fair Foundation with proceeds going towards capital improvements on the 70 acre fairgrounds, scholarships, and support for the Western Junior Livestock Show. Alan Odden, a judge for this year’s contest says speed and clarity are key to being a successful auctioneer. Beyond that, personality and appearance sets the top-ranked auctioneers apart from the crowd. Winning the competition this year was Jade Harper, Rapid City SD. First runner-up was Terry Moe Watford City, ND, and second runner-up is John Millar, Sturgis, SD. Also in the top five were Curt Littau, Winner SD and Wyatt Schaack, Wall, SD. 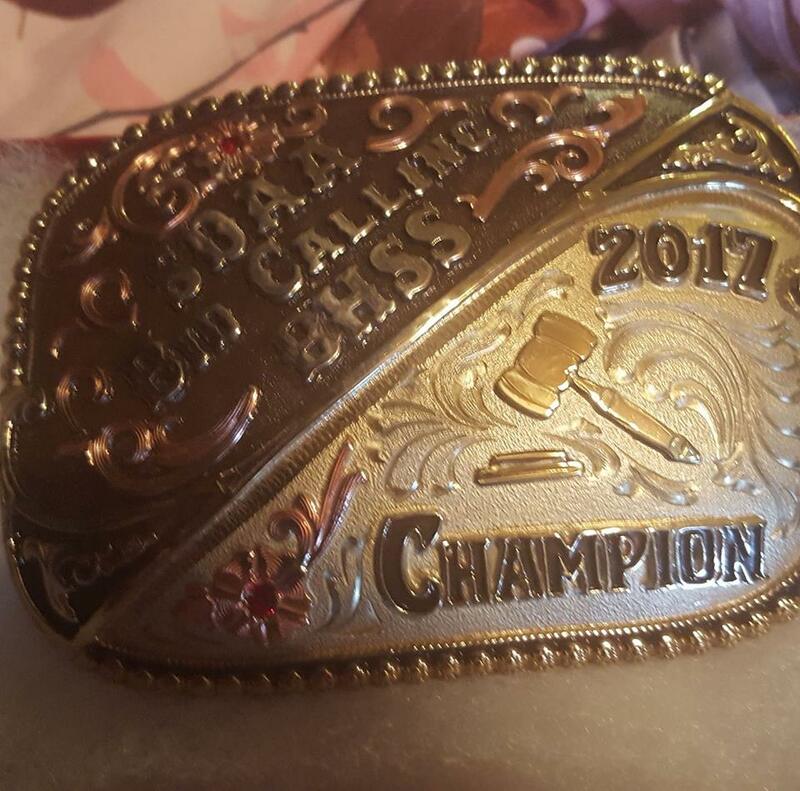 The champion auctioneer from this event qualifies for the ‘Champion of Champion’s Challenge held in June in Sioux Falls, SD.